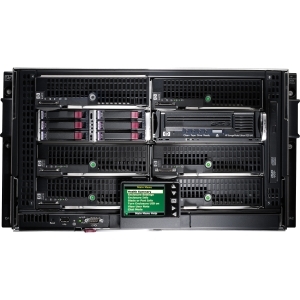 The HP BladeSystem c3000 Platinum Enclosure brings new capabilities to HP BladeSystem. 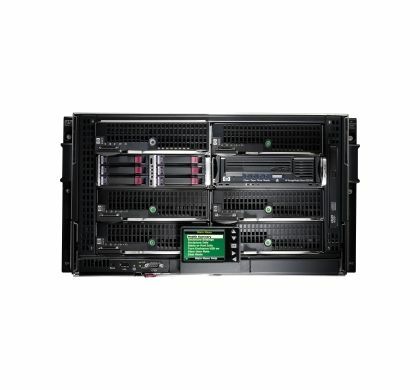 The c3000 targets three separate market segments: 1) remote sites needing between 2 and 8 server blades; 2) mid-sized companies with between 3 and 100 servers; and 3) enterprise accounts with special datacenter requirements, such as DC power, or very limited rack power and cooling capacity. Similar to the c7000, the Intelligent Management through the Onboard Administrator gives you complete control of your bladed infrastructure. A multi-terabit backplane ensures that the c3000 Enclosure can support today's Gigabit networks with an easy migration to tomorrow's 10 Gigabit solutions.